The weather has finally been cold enough to pull out my winter coats, which I couldn't be happier about. It's supposed to warm up a bit this week, but I'm hoping for more winter soon. And more snow. Always more snow. Especially for Christmas. 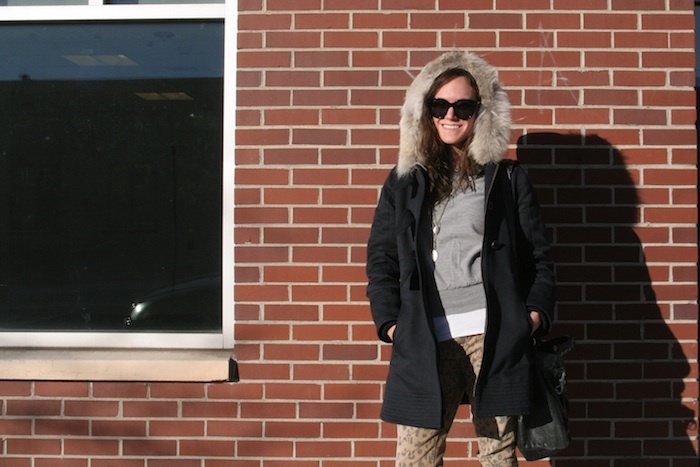 Marc by Marc Jacobs coat (similar), Céline sunglasses, J. Crew sweater (similar), Twenty8Twelve tank (similar), Urban Outfitters necklace (similar), Current/Elliott denim, Isabel Marant boots, Balenciaga bag. Love so much your coat! 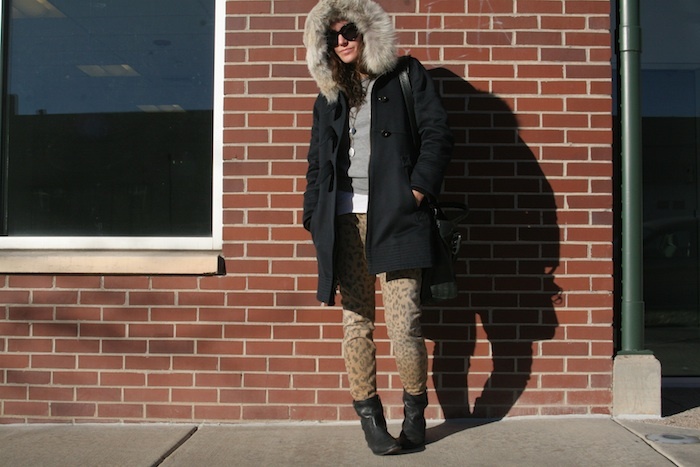 Love your pants and the fur hood! fur and animal print. Good! Oh you should be in Minneapolis - we have plenty of snow and cold to share! Super cute jacket - love the hood! Thank you! I know, I'm so jealous of all the snow you've had already!! The mountains have been getting some this weekend though, and are supposed to get 20 inches by Wednesday! I'm so excited. love the pants! i am currently debating buying the same pair. can't ever have enough leopard print! I hope you do! I love these pants. Such a hot coat and I love the print on your jeans, yours is the first pair I've seen like that! Fierce look lady! you look cute and comfy!!! Love all the fur in ur coat! Beautiful warm look! I just love your coat and the fur hood is fantastic! I LOVE this coat. 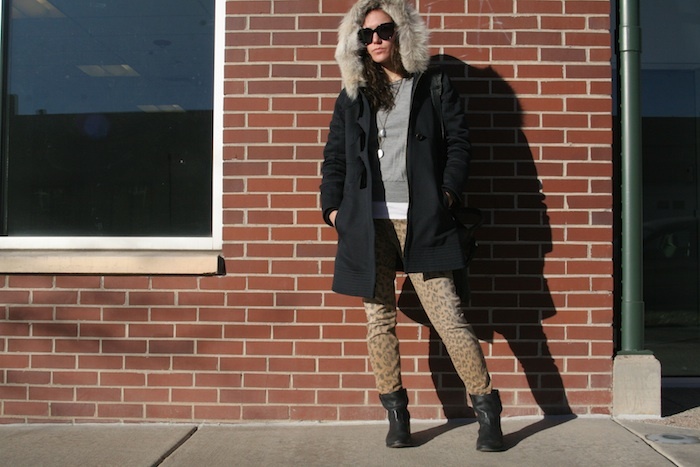 The style is so pretty and it's perfect for Colorado (and Minnesota!) winters. Your pants are pretty awesome, too. I love the print! ooohh i want that jacket!!! it looks so chic and cozy! :D fab pants too! Love your coat!! Very beautiful! Now that is how you rock all of this seasons looks in one and at the same time turn the perenial parker into a stylish number. Keep up the posts! Jo! Love the hood!! and your animal printed pants! Thanks for the comment and for following, we really appreciate it. And of course we´re following you back! like this combination and the blog. Maybe if you want we can follow each other? let me know ;)! Thanks! I think it's a casualty of having grown up in WI and MN--you either figure out how to enjoy it, or suffer in misery for 9 months.